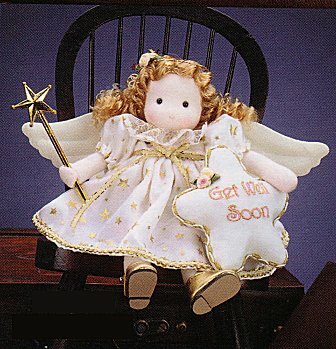 Send this adorable doll to someone who needs a lift. This little angel brings with it your wishes and love for a speedy recovery. 7 1/2" high, it plays "Ave Maria." Doll moves her head.